The Ministry of Commerce confirmed on Thursday that China has received an invitation from the United States to reopen trade talks, saying it welcomes the move. Analysts warned that the US risks underestimating China's capability to hit back if it continues to impose tariffs on more Chinese goods. Gao Feng, a ministry spokesman, said China and the US currently are communicating on many specific details, and the escalation of trade friction is inconsistent with the interests of either party. His comments came after top White House economic adviser Larry Kudlow said on Wednesday the US government has invited Chinese officials to restart trade talks. The outreach comes as the world's two largest economies are embroiled in trade disputes, with US President Donald Trump poised to decide whether to raise duties on $200 billion of Chinese goods — or on even more. To safeguard the interests of its exporters, manufacturers and other businesses, China has already vowed to "definitely take countermeasures" if the US raises tariffs further. Gary Hufbauer, a senior fellow and trade expert at the Peterson Institute for International Economics in Washington, said Trump is concerned about the adverse financial market consequences as a result of trade tensions and the ensuing political effects if he imposes higher tariffs ahead of the November midterm elections. "Trump wants to show the Congress and companies that object to the proposed tariffs that he is a reasonable man, willing to negotiate (with China) before taking action." US businesses in China also fear that the threat of additional tariffs on $200 billion in Chinese goods would generate strong negative impacts on their operations in China. The results of a joint survey by the American Chamber of Commerce in China and American Chamber of Commerce in Shanghai were released on Thursday. It measured the impact of the tariffs imposed by China and the US on each other since July. Close to two-thirds of respondents said the tariffs are having a negative impact. The survey said 63.6 percent reported the initial US tariffs on $50 billion in Chinese goods are affecting their business operations. 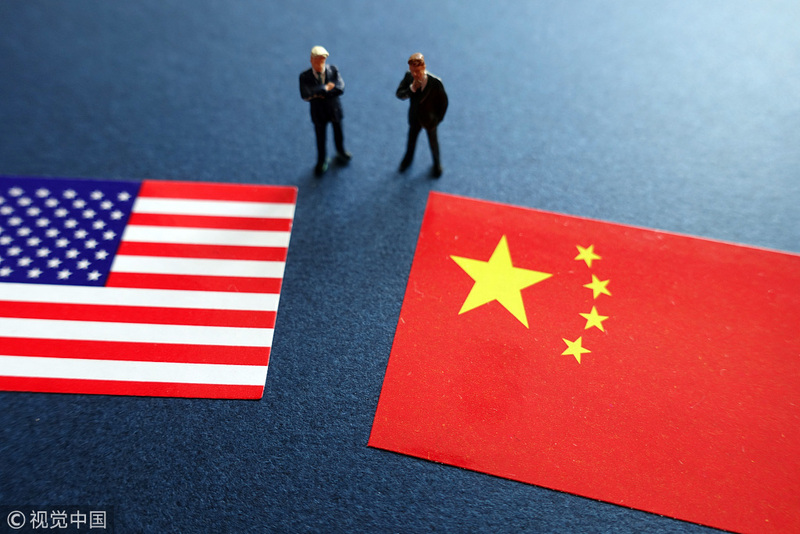 When asked about the implementation of the possible additional US and Chinese tariffs, the proportion of members who cited a negative impact jumped to 74.3 percent and 67.6 percent, respectively. The percentage reporting a "strong negative impact" in that case doubled from 21.5 percent to 47.2 percent for the US tariffs. Over 430 companies responded to the survey. "The White House has threatened to fire the next barrage of tariffs at $200 billion more in Chinese goods, expecting with this onslaught, or subsequent ones, China will wave a white flag. But that scenario risks underestimating China's capability to continue meeting fire with fire," said William Zarit, chairman of AmCham China. "The US administration runs the risk of a downward spiral of attack and counterattack, benefiting no one," Zarit said.